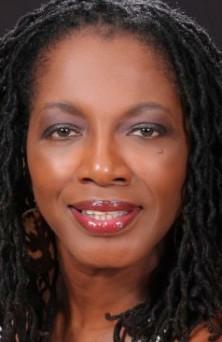 LINDA BOSTON is a songstress on a journey. With the release of her debut CD â€œPermission: The Power of Beingâ€� she is inviting all along. â€œPermissionâ€� is produced by world-renowned producer, composer and Multi-Platinum Smooth Jazz artist, Randy Scott, Jerome Harvey of Harvey Industries and MAAT Productions, LLC. The album is a blend of gospel and inspirational jazz. It is the first of a three-part series. Linda was born in Chicago, Illinois to a singing family of five. She earned her undergraduate degree in broadcasting from Eastern Michigan University in Ypsilanti, Mich. While working as primary female voice over talent and broadcast law director at WJR Radio, she began working on her acting career. Linda has been recognized for her portrayal in two of the nationâ€™s most produced plays; â€œCrownsâ€� by Regina Taylor (â€œMother Shawâ€� Alabama Shakespeare Festival Theater) and her most recent appearances as â€œPower/Professional Womanâ€� in the internationally acclaimed â€œMenopause The Musicalâ€� at The Gem and Century Theater produced by TOC Productions. Linda has performed in some of the nationâ€™s most distinguished venues and received numerous awards such as the Best Actress award given by the Detroit Repertory Theater. She has received a â€œBest Actressâ€� nomination from the Detroit Free press for her legendary portrayal as Jackie â€œMomsâ€� Mabley in the one woman show â€œMoms Mabley: The Naked Truthâ€� and as Ella Fitzgerald in â€œHow High The Moonâ€�. Linda has also been a requested vocalist/performer for former Detroit Mayor Kwame Kilpatrick during his 2006 Inauguration, the LINKS National Convention and the Detroit Branch NAACPâ€™s 52nd Annual Fight for Freedom Fund Dinner. Linda â€˜s legendary experience includes working with world renowned artists, musicians and dancers including Marcus Belgrave, appearing on Wendell Harrisonâ€™s newly released album â€œItâ€™s About Damn Timeâ€�, performances with Pamela Wise and Ortheia Barnes-Kennerly. She has worked with world renowned actors including Tommy Ford, Terri Britton, Sigorney Weaver, Roger G. Smith, Nâ€™Bushe Wright, Ray Liotta, Benicio Del Toro, Tamela Mann, Richard D. Jewell, Harry Lennix, Whitney Houston and Wood Harris, just to name a few. Additionally, she has appeared in numerous regional and national TV and radio commercials and industrial films. Her film credits include â€œSparkleâ€�, â€œStreet Kings 2â€�, â€œPrayers for Bobbyâ€�, â€œAllegedâ€�, â€œJimmy Picardâ€� and â€œBeyond the Maskâ€�. Linda is no stranger to giving back as she tirelessly devotes time to serving youth, educators and the community by linking the arts to literacy, personal growth and spiritual enlightenment. One such project allowed her to spend over two years performing, mentoring and teaching with the internationally renowned Walk and Squawk organization, creators of the â€œThe Walking Projectâ€� South African Artist Exchange (www.walksquawk.org). Lindaâ€™s dedication to youth includes mentoring and educating them in life skills through the arts, via various schools and community organizations like VSA Michigan (www.vsami.org). In 2001 Linda established PEER, Inc. (Portable Educational and Entertainment Repertoire, Inc., www.peerincredible.org), a 501c3 service provider, sharing the arts, education and edutainment via performances, productions, workshops and a host of other presentations with a myriad of multi generational, cultural and community organizations and groups. Ask anyone. Her debut CD â€œPERMISSION: The Power Of Beingâ€� produced by Multi-Platinum Smooth Jazz Artist Randy Scott must be experienced. Thatâ€™s why there no doubt. Linda eternally thanks the Creator YAH Almighty for daily revelations as she goes where she is led. Please visit www.lindaboston.com or www.imdb.com for Lindaâ€™s full bio and extensive talent resume.